The Everett YMCA hosted one of the two Membership Renewal tournaments on September 14th – 16th. This was the second year this tournament was hosted in Everett, and this year it drew 35 players. The event was very relaxed, owing largely to the hour long match time slots, the comfortable start and end times during each day, and the self-reffed matches. This was a no-frills event, meaning no meals were provided and there was no souvenir for the participants. 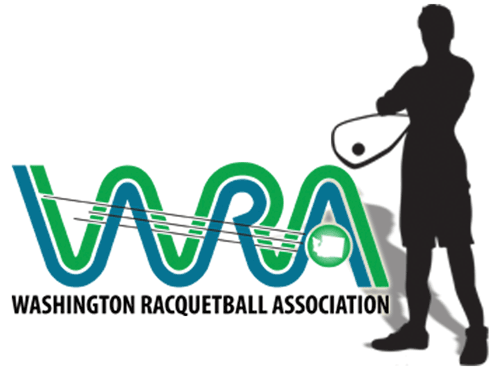 There were peanut butter and jelly sandwiches, muffins, bananas, and trail mix available to make sure no one went hungry, and of course every player who entered and paid full price for the event received a 1-Year USRA membership extension. The Men’s Open division was a 4 player round-robin won by Daniel Pischke, with Alan Lawson coming in second. Men’s Elites was won by John Chow, who defeated Carlos Scott in the final match. John Pruitt took 3rd over Jorge Carlos Thomas by forfeit as Jorge had to leave early Sunday. Men’s A’s was won by Mark Gantar, defeating John Wong one point in the tiebreaker game of the match. Max Gilpin defeated Joon Sinn for third place in another close tiebreaker game. Men’s B’s was won by Michael Lam, who defeated Brian Gillespie in two straight games. Juan Munoz won by forfeit over Dustin Brown to take third. Men’s C’s was won by Lang Beek, who defeated 2nd place Jeramy Brady in their head to head match in the round robin in two straight games. The women were represented by four players in the Women’s A/B division. Heather Brady defeated 2nd place Julie Bremer in their head to head match in two straight games. There were three teams in Men’s Elite/Open doubles, and Alan Lawson and Jessica Munoz defeated second place team Dan Pischke and Jeff Homme in a long three game match. Men’s A Doubles was also a three team division, with John Avendano and John Chow defeating Michael Craig and Diego Rodriguez in two straight games. The Mixed Doubles divisions became a mixed up doubles divisions where the teams were created out of the players who registered to try and keep the teams as balanced as possible. There were three teams and each team won a match, so it came down to a very close division with Adrianne Matthews and Neal Heggen defeated second place team Heather Brady and Jeramy Brady based on games won/lost. Check out the R2 link for all the results. I’d like to say a great big thank you to everyone who came out and participated, and helped us to keep the tournament not only running on time, but more often than not well ahead of schedule. A big thank you goes out the Everett YMCA which was an excellent host facility for this event. Oh, and happy birthday Neal!! !